The newly-designed fat tire electric mini bike for adults is a powerful and fun electric mountain bike, featuring name-brand components and a great frame geometry. And the fat tire electric mini bike for adults was designed for comfortable safe and convenient riding. It is also the design concept of the fat tire electric mini bike for adults. The are two characteristic about the battery. The first characteristic is that the lithium battery which made up lithium-ion cells is hidden in the frame of the fat tire electric mini bike for adults with locked, so its appearance is different from other regular fat tire electric mini bike for adults. And the second characteristic is that the battery can move out to replace another same type battery to reduce waiting charging time. After this you can ride the fat tire electric mini bike for adults continuously without waiting any charging time. The fat tire electric mini bike for adults can ride 80km with full charge. The main frame of the fat tire electric mini bike for adults made up aluminum alloy. No easy to rust! And the tube wall thickness is stronger than previous. It can sustain more impact and support loading is 150 kg. 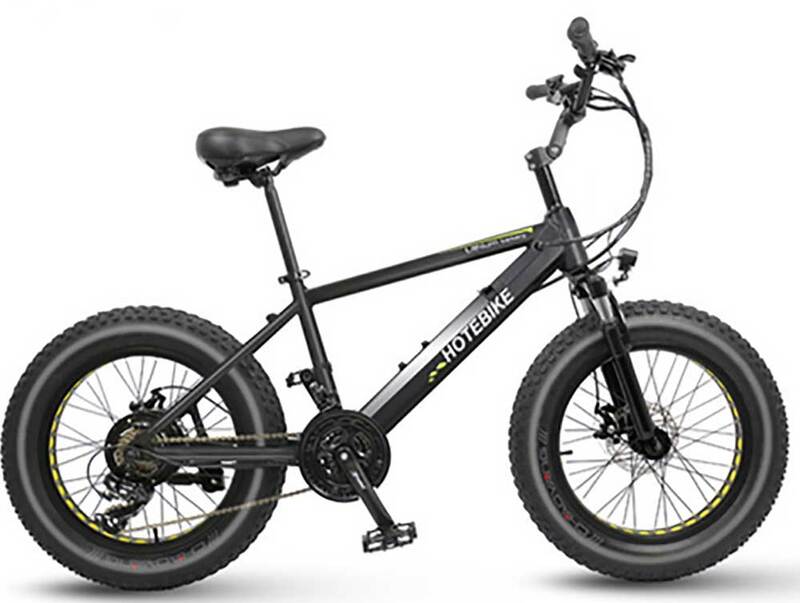 And the fat tire electric mini bike for adults has good suspension effect and off-road capability with suspension front fork and a pair 20 inch fat tires higher than regular wheels. The fat tire electric mini bike for adults provide an excellent stability for riders while riding. The fat tire electric mini bike for adults was equipped with a powerful 36V 350W rear hub motor which gives a boost of up 30km/h while you riding. Comparing with the regular fat tire electric bike, the size of fat tire electric mini bike for adults is more small, saving space and convenience with its 20 inch wheels. If you no enough money or do not want to spend too much expense to a full-sized motorcycle, buy a fat tire electric mini bike for adults is a practical solution to reduce hassle. The fat tire electric mini bike for adults is based on customers needs to design. Besides ,there is a LED digital display installed in the center of the handlebar. So you could know the electric quantity, temperature, speed, motor power and so on. This is a good way to know the fat tire electric mini bike for adults situation to maintain it. Keep the fat tire electric mini bike for adults in a good function. Based on the information, you could know the electric quantity and riding speed at any time to adjust your riding plan by you like. We also have seat quick release which can adjust the seat post depend on you like and need. The fat tire electric mini bike for adults also support be a non-electric bike, if you want to try riding without start up the motor. But I suggest you better start up the motor while riding, because it can save your energy and time. If you interest in the fat tire electric mini bike for adults, please contact us freely.